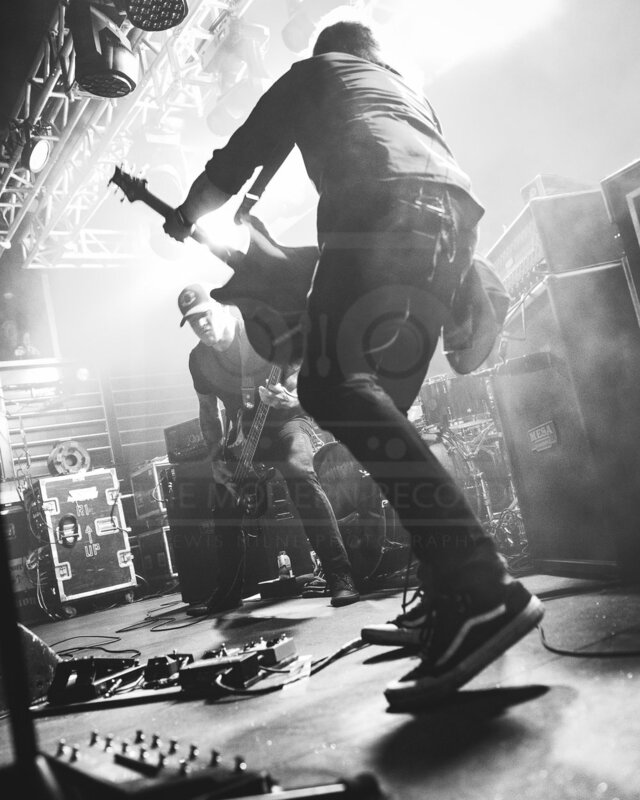 Continuing support for Tremonti’s latest album release titled ‘A Dying Machine’, Alter Bridge guitarist Mark Tremonti returned to Scotland with his solo project band TREMONTI following their performance in Glasgow back in the heat of June. With support from Disconnected and The Raven Age, the night was destined to be heavy and wild – which is exactly how it ended up! The Raven Age with their heavy riffs, catchy lyrics and all-round high energy performance got the crowd going playing their latest songs from their most recent album Darkness Will Rise and newest single release Betrayal of The Mind which is filled with full and heavy drums, bass and guitar riffs with power that exploded through the crowd. Their new singer Matt James fit into the band very well with a powerful voice that complimented the bands’ original singer’s style following a split from the band early this year. By the time The Raven Age had finished their set the whole venue was packed wall to wall, the temperature was increasing, the anticipation building amongst the audience and then the house lights went down. Their instrumental song, title ‘Found’, from their album rumbled through the venue hyping everyone up with no delay. The band members entered the stage starting their set with their second album title track ‘Cauterize’ which immediately erupted the place. They played a very well chosen setlist covering the best and most emotional, energetic and popular songs from across their four albums. Mark Tremonti’s vocals were easily the strongest I’ve heard him live from the four times I’ve had the pleasure of attending his concerts, plus one Alter Bridge concert. Mixed with his immense talent on guitar he makes for a perfect performer who gives as much love to the crowd as he does to the performance. 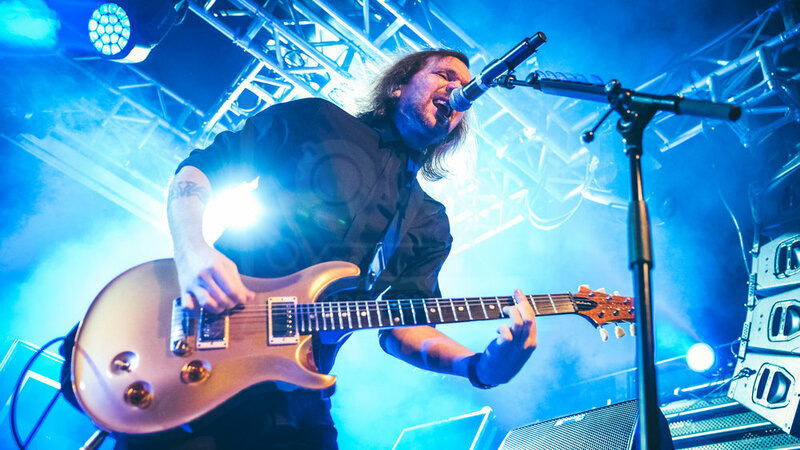 Eric Freedman – Creed, Projected – harmonised perfectly on vocals through the set and played some incredible guitar solo’s both during and between songs brought even more attention to the stage as his passion for performing was shown without a doubt. Tanner Keegan, as always, is one of the most energetic bassist’s I’ve ever came across through every band I’ve seen – it’s a wonder where he find’s so much energy from that never fades tour after tour! His chunky bass riffs complimented the two guitarists power perfectly. Ryan Bennett has filled in for Tremonti’s full time drummer Garrett Whitlock on this leg of the tour after an unexpected break for personal reasons. Bennett filled in perfectly and played with very nearly as much energy and power as Whitlock performs with. It’s unknown how long Bennett will be touring with Tremonti for but there is no doubt for how suitable he is as a drummer during Whitlock’s time away. Although it was one of warmest gig’s I’ve attended, after their Glasgow performance during the Summer heat-wave of this year, it was never the less a gig to remember and for anyone who is into the heavy-rock or metal genre then Tremonti are a must see whenever the chance is there – plus if you buy any Tremonti merchandise at the gig you get a free meet and greet pass at the end of the show!